It might just be my experience, and it might be specific to the locations I found as destinations, but Jacksonville has a very circular road system. There was a lot of road construction as well. As one friend put it “You’ve got to make 3 rights to take a left. As you pass the place, the GPS still says 5 minutes remaining.” This aspect had it’s positives. I only remember a few left hand turns, which as UPS has proven, makes for overall more effective routes and fewer accidents. It also gave me more time to hang out with the awesome folks who gave me lifts around town at WordCamp Jacksonville, #WCJAX. I went to The Blue Bamboo almost as soon as I arrived, meeting the other speakers for the camp. It was great to see so many folks, who, in some cases, I had not seen in a long while and who, in other cases, I had seen last only a couple weeks ago. Most dinners I attend have an open lounge style seating, with a mixture of high and low top tables. Here we chose banquet tables at the start for our seats to remain in throughout service. It was cozy and friendly. Country fried chicken and crab won tons were on the menu and I had salad, broccoli and rolls. Here we also got some lovely speaker swag including some locally made taffy! We didn’t have to leave the premises to find our food at noon time. 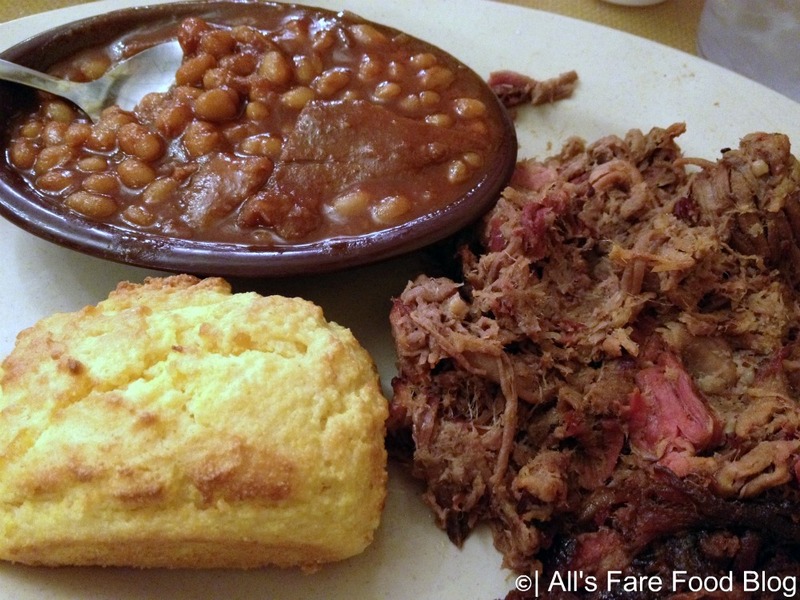 We had wonderfully prepared BBQ on the first day from Sonny’s BBQ. We returned to The Blue Bamboo for the after party. This time we were treated with veggie spring rolls and potato croquettes as well as two different type of dumpling, pork and shrimp. Board games were out and folks had broken off into various factions battling for Park Place or the coveted moment when you connect four. Many a good conversation were had. We did make an attempt at #WCKaraoke. But alas, the laws of that area made the bar we had chosen a ‘smoking only’ lounge and we couldn’t find group agreement on an alternative. It was still a good attempt in my opinion and I had a very nice time. The picture below is not the exact lunch we had, but it is pretty close. The best parts were the Soyrizo from a local awesome producer and various hot sauces which I had not seen before. Unfortunately, no photos I can find exist of this meal. It was a good one where I got to meet a few new folks, so I am a little bummed at that. I am also bummed that I didn’t catch the name of the caterer, I will try to update this with that info. The Happiness Bar was in full effect as well. There were many a good conversation and problem gotten to the bottom of in that little room. There were also a lot of mini Slim Jims, oranges, nuts and snack mixes to go with the gallons of coffee. There was no keynote, just opening remarks from the good folks at Keiser University, which was playing host to us that weekend. 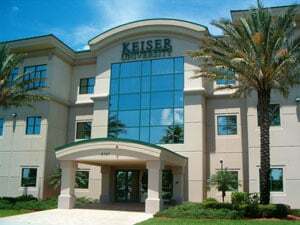 “At Keiser University, You Receive Your Education One Class at a Time”. This educational approach is one of intent focus on a single problem set, which I think fits in well with some of the better development practices I have observed over time. Their website is also WordPress, which make us feel right at home. We started with a mindfulness exercise. A seated dead head roll with focused breathing. This was a very great way to start the day. It turns out that this is a great way to start every morning, since Cortisol levels are the highest in the morning. She said you could argue that you really don’t need coffee in the morning, that it would be the afternoon that you might need to step on the gas pedal. It is important to recenter at least once a day. It doesn’t have to be elaborate or time consuming. She suggested using apps to give it a try. Secret is consistency, trying just 5 minutes a day for 30 days. That pattern is the key to success with this. Let’s face it. The built in WP default editor is kinda lacking. Even as I write this here in my editor I am wishing I was just writing in a Google Doc. Even our beloved Matt Mullenweg called it “the best collaborative document editor on the planet right now.” Which is exactly why Steve was excited to talk about the idea of leveraging it and other tools to make the team collaboration better for publishing, including tools to publish directly from Google to your WP pages. PublishPress is another one of the tools making amazing strides in this direction. Permissions is another area where there is room for improvement and we are seeing some advancements on the horizon. I had not considered before this talk the possible role of Calypso with the rise of Guttenberg, but there is a compelling case to be made for the future where better page design on a local is the norm. I left with a lot to think about and a lot of things on the horizon to be excited about. It is not just for blogs, it got popular that way since it was easy to publish. But you don’t have to just publish blogs. MYTH! Plugins are bad or cause trouble. False: Bad plugins are bad and too many overlapping bad plugins are bad. Only use what you need. Plugins are good. But if you don’t use it, just lose it! Delete those inactive plugins, or keep them up to date. This is not true, lot of easy ways to get started and many tools and training resources to help. Best practices around standard processes solves a lot of these issues. Yes there is a learning curve, like with anything else. WP is a big target, that is true, but it certainly can be secure. It is up to good practices around security from you, your hosting and the code itself. MYTH! You get what you pay for…free = no quality. no support! Wrong! While there is no no 1-800-wordpress (that domain was available at time of publication by the way) but there is a whole community to help. Tons of free help options out there if you are willing to learn. This is one of those MUST SEE presentations. I highly encourage you to find a version of this online. I will likely update this post when this version gets posted. Meanwhile his slides are here. No one has all of it under control. You are not alone. The common struggle is real! We understand the need for strategy, but doing it gets messy. We get distracted and caught up in the day to day emergencies that confront us. Putting a name to your problems help to understanding and defeating them. He calls this flurry of distractions “The Whirlwind”, defined as the energy and attention needed to run your business. The Whirlwind is the URGENT! When urgency and importance clash, urgency wins every time. The whirlwind never goes away! The whirlwind isn’t bad, it just is. Delaying strategy doesn’t work. You need a plan to accomplish your goals in the middle of the whirlwind. Without a plan, the whirlwind always wins. He spends the rest of the talk explaining how to build and execute a plan. Your best friend in this is momentum, plan action items. Rather than try to re-explain it here, just go look at the slides. This was a fantastic presentation and I am so glad I got the chance to see it. Like most people I meet in the WP space, her background is not a dev or a designer, nor a true agency model. However, an agency, WebDev Studios, is where she works interacting with devs and designers all day. More importantly she works with the clients doing something very near and dear to my heart, helping them implement their dreams. Interpreting what the client wants into docs, some of which are very long and complex. Through her experience she has noticed that there is a perception that ‘sales’ has became a bit of a dirty word. She aims to change that. “We don’t know how to engage, we want to be at a distance”. Apps do this for us and this is partly why we hide behind screens. One of the things that made a difference for her cognition of this was a The Atlantic article from Paul Barnwell “My Students don’t know how to have a conversation“. He really illustrates that the main thing people what their children to learn to survive and thrive in the world is communication. This is vital! Sales really breaks down to the act of providing solutions the challenges the client might be having while being conscious of their budget. That is all. Really engage at every chance because everyone has something to teach you, if you will listen. Let’s use words that entice engagement. Keep Informed! Past examples of web works..
You Created A Plugin. Now What? So you have a plugin. Awesome. Get that thing on the directory! It all starts with wordpress.org. This is the largest collected pool of users in the world. Getting it out there is step one, but upgrades and extensions are the way to monetize! Once you have that sorted, increasing sales is next goal. Repo reputation really matters. 5 star reviews are great but replying to the 1 star reviews is super important too. If your plugin is seen as having really good support then people will trust it more and be more willing to buy things. Take care with how you write. Good copy will drive installs. Good marketing content and good docs are equally important. Content marketing is important! THink about discounting and presenting the messaging at key junctures. Things like exit discounts (when you get a pop up offer as you are about to leave a page really do work. Cross promotions are a win-win situation. Get your product and service associated with another reputable plugin to reach an even wider audience and build that credibility. What will you charge, what will the market bare? It turns out this just takes the courage to try what you think you can get and not be afraid to raise price, or lower them, as the market responds. No secret magic formula. A/B Testing, Which Way Does Your Duck Face? Yes I am going to still write this up, but stop reading this for 45 minutes (even if you don’t think you have the time to spare) and go watch this video. Don’t try to assign reason to user actions, you can’t. It will drive you batty. Let the data drive all decisions. What to test? Tese the buttons shape, drop shadows, color, size, font, text, images. Basically test everything!! Everything!!! But at this is your chance to play and have fun too. People were really engaged and asked questions throughout. While time sorta got away from me, I felt as though I had a better conversation throughout. This was my favorite time giving this talk yet and I am really looking forward to getting to do this again. This camp was actually a lot of fun. I know I started out with a complaint about the roads, but Jacksonville had some really cool parts and some really nice and interesting people. One of my favorite moments though came from seeing how happy this man was because of finally getting his CalderaWP “Catdera Wapuu” Sticker. Quick note: This was actually the second time I had made it to Florida in 2 weeks. The previous week I was fortunate enough to attend my sister’s wedding. It was a beautiful ceremony on the beach at sunset. I could not be happier for her or her wife! However, I am not going to miss the sand of that beach, since it is in all of my stuff still, almost 2 weeks later. I might not make it back to Florida any time soon, but I am glad I went. Winding streets and endless road construction aside, the Jacksonville WP community seems pretty good. Thanks for sharing! You went to a lot of the sessions I was not able to. I appreciate you sharing your notes 🙂 Would you recommend any other conferences beyond WordCamps in Florida? Anywhere folks in FOSS are coming together to learn is a good place to be. Also, don’t forget your meetups. Not just WP and Drupal, but connect to the Joomla and PHP folks as well. The important part is going, if it is a fit you will look forward to going back! Wow, this is methodical thought out, good job on this article. This was a great WordCamp, can’t wait for next years! Next Next post: WCEU: Paris is hot in the summer and you have to walk a lot. Who knew?